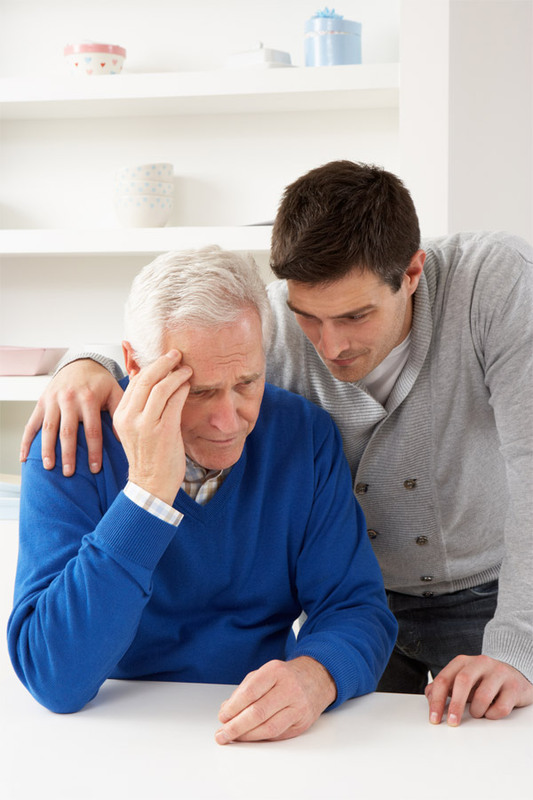 Safety is an important issue in caring for a person with Alzheimer's disease. Even with the best-laid plans, accidents can happen. Checking the safety of your home, keeping the person from wandering and preventing him or her from driving when driving skills decline are some ways you can minimize hazardous situations. where things are in their own home. Here are some things you can do in your home environment to help keep the person with Alzheimer's safe. Simplify your home. Too much furniture can make it hard to move freely. Get rid of clutter, such as piles of newspapers and magazines. Have a sturdy handrail on your stairway. Put carpet on stairs or add safety grip strips. Put a gate across the stairs if the person has balance problems. As a caregiver, you can do many things to make a house safer for people with Alzheimer's. Add the following to your home if you don't already have them in place. childproof plugs for unused electrical outlets. Lock up or remove the following from your home. cleaning products, dangerous chemicals such as paint thinner, matches, scissors, knives, etc. gasoline cans and other dangerous items in the garage. The kind of floor surface. A smooth or waxed floor of tile, linoleum, or wood may be a problem for the person with Alzheimer's. Think about how you might make the floor less slippery. Spills. Watch carefully for spills and clean them up right away. Shoes. Buy shoes and slippers with good traction. Look at the bottom of the shoe to check the type of material and tread. Read more at "Fall Proofing Your Home." Many people with Alzheimer's wander away from their home or caregiver. Knowing how to limit wandering can prevent a person from becoming lost or hurt. Make sure the person carries some kind of identification or wears a medical bracelet. If he or she gets lost and cannot communicate clearly, an ID will alert others to his or her identity and medical condition. Consider enrolling the person in the Alzheimer's Association's Safe Return program. This program helps find people with Alzheimer's disease who wander off or get lost. Call 1-888-572-8566 for more information. Let neighbors know that the person with Alzheimer's tends to wander. Keep a recent photograph or video of the person to assist police if the person becomes lost. Keep doors locked. Consider a keyed deadbolt, or add another lock placed up high or down low on the door. If the person can open a lock, you may need to get a new latch or lock. Install an “announcing system” that chimes when the door opens. A person with mild memory loss may be able to drive safely sometimes. But, he or she may not be able to react quickly when faced with a surprise on the road. This can lead to dangerous results. If the person's reaction time slows, then you need to stop the person from driving. The person may be able to drive short distances on local streets during the day, but may not be able to drive safely at night or on a freeway. If this is the case, then limit the times and places that the person can drive. When the person with Alzheimer's disease can't think clearly and make good decisions, he or she should stop driving. One sign that someone should stop driving is new dents and scratches on the car. Another sign is taking a long time to do a simple errand and not being able to explain why, which may indicate that the person got lost. Some people with memory problems decide on their own not to drive. Others don't want to stop driving and may deny that they have a problem. As the caregiver, you need to explain why it's important to stop driving. Do this in a caring way. Understand how unhappy the person may be to admit that he or she has reached this new stage. Here are some ways to stop people with Alzheimer's disease from driving. Ask your doctor to tell the person to stop driving. The doctor can write "Do not drive" on a prescription pad and you can show this to the person. Some States require doctors to tell them if a person with Alzheimer's should no longer drive. Contact your State Department of Motor Vehicles. Ask about a medical review for a person who may not be able to drive safely. He or she may be asked to take a driving test. The person's license could be taken away. Ask family or friends to drive the person. Take the person to get a driving test. If the person won't stop driving, hide the car keys, move the car, take out the distributor cap, or disconnect the battery. Find other ways for the person to travel on his or her own. Transportation services include free or low-cost buses, taxi services, or carpools for older people. Some churches and community groups have volunteers who take seniors wherever they want to go. To find out about transportation services in your area, contact your local Area Agency on Aging or the National Transit Hotline at 1-800-527-8279.